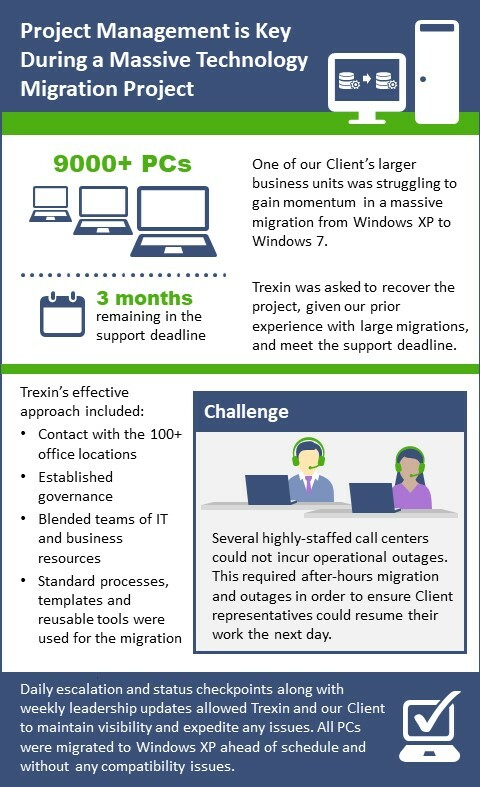 Trexin helped an international financial services firm migrate 9,000 PCs to Windows 7 in under 3 months. Our Client, an $8B global risk management and reinsurance firm, was in the middle of a massive technology migration from Windows XP to Windows 7 affecting over 51,000 platforms. One of the larger business units was struggling to establish momentum, consistently ranking at the bottom of the global progress list that tracked the migration status. With only 3 months remaining in the Windows XP support deadline and only 1% of the business unit’s 9,000+ PC migrations completed, the business unit’s Operations Manager asked Trexin to recover the project, recognizing that Trexin’s successful involvement in the overall program design and preceding application rationalization project established us as leaders and experts in the transformation that was required. Trexin arrived onsite and immediately began the process of establishing a master list for sites, users, and PCs to determine specifically what was in-scope for migration. 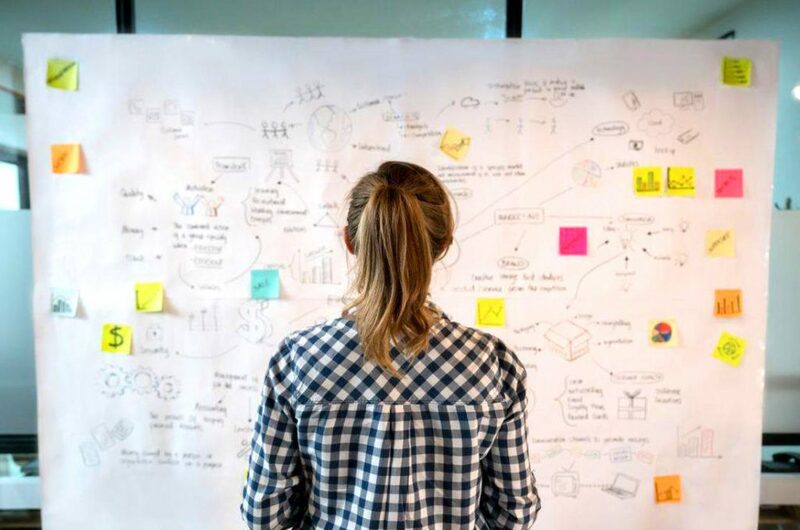 We then identified contact information for each of the 100+ office locations, established governance, and recruited a blended team of IT and business resources to help with all the upcoming execution steps. To rapidly scale the migration, Trexin created standard processes, reusable tools, and communication templates for preparation, migration, and issue resolution, ultimately engaging with over 9,000 personnel affected by the migration. One of the challenges we encountered was that there were several highly-staffed call centers that could not incur any operational outages. While other migrations were conducted during the day, call centers therefore required after-hours migration and immediate, extensive testing to ensure that client representatives were ready to resume work when they arrived the next day. 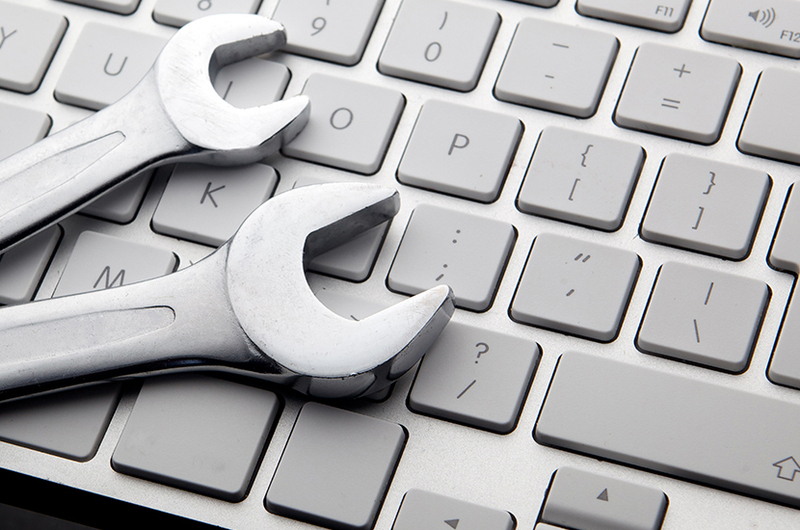 Trexin helped to assemble and engage the business unit to prioritize lagging project work. Daily escalation and status checkpoints coupled with weekly leadership status updates were instituted to maintain visibility and expedite internal issue resolution. 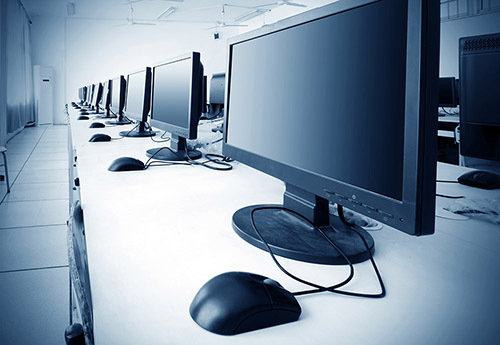 All PCs were migrated ahead of the Windows XP support deadline and the business unit did not experience any application or OS compatibility issues, which was a remarkable achievement given the pace of migration and the abbreviated timeframe. Trexin’s work allowed our Client to avoid costly end-of-life support contracts and complete the business unit migrations ahead of other business units. Restructuring the project and managing it decisively based on our prior experience with large migrations proved to be the deciding factor as time for the migration was running out.